Get your journalistic stripes working for Ibiza's leading website portal. If you have a passion for Ibiza, electronic music and new experiences, today is your lucky day. 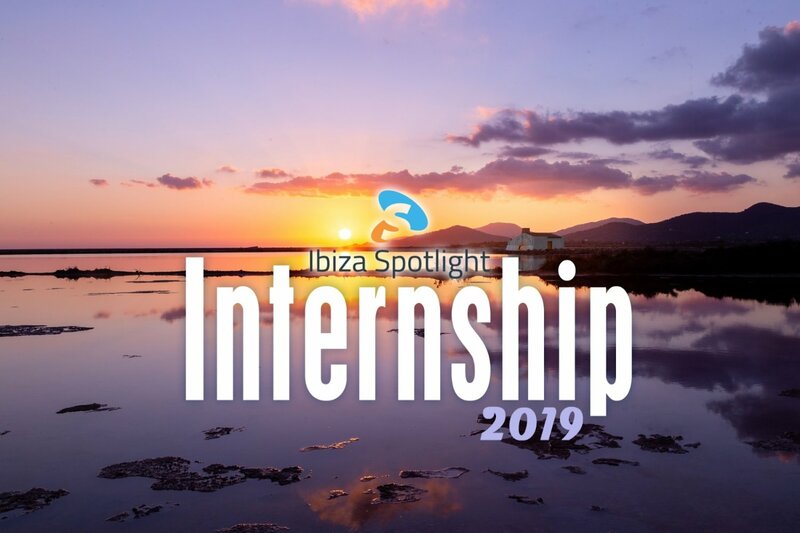 The search is on for applicants for our 2019 Writer and Videographer Intern Programme at Ibiza Spotlight, the island's leading website. The position requires a balance between covering wild Ibiza nights as well as popular tourist news and features. If you can juggle reporting on parties at night, fun activities by day and meeting article deadlines, then we want to hear from you. Working with the clubbing and general content teams, you will be called upon to cover a wide range of topics, chiefly clubbing and dance music and also everything from what's hot to do right now, to guides on how to enjoy the island to the max. Whilst working with us, you'll pick up an invaluable set of skills and increase your online visibility - all whilst having the summer of your life. Previous interns have gone on to work for top magazines, music labels, promoters and more. If you want to see just how our past interns got on, then read Kane or Holly's accounts from 2018, Peter's from 2017 and Ruby's from 2016, to give you an idea of what you can expect. Now, picture yourself in that role! Read on to find out how to apply for the coveted status of Ibiza Spotlight writer intern. We are looking for a number of interns to work with us. You will be covering the main summer season (May to October). It's vital that you have a passion for dance music, music journalism AND be able to turn your hand to all kinds of events and activities outside of that. Two-thirds of your focus will be clubbing, with the rest focussing on all aspects of tourist life on Ibiza. We'll work with you to make sure you build some great skills; if you do REALLY well, there's scope to get promoted to a full-time Ibiza Spotlight staff during the 2019 summer season. You need to be a problem solver be responsible and take the job seriously. Oh, and we need you to be creative, witty and fun - can you do all that? This is not a nine to five job. We will need you to take on anything we throw at you and it's vital you meet agreed deadlines – this is a deadline-driven job! You must possess a thick skin. You will be in contact with all kinds of people, some of whom won't always be in the best of moods. Not taking someone's grumpiness personally is a job prerequisite. In terms of music genres, please leave your prejudices at home. This is really important. We all have our tastes, but a trance fan who doesn't get Cocoon is as equally unwanted as a techno snob who doesn't get why 5000 people go to Cream every week. In other words, be up for anything! Beyond that there are no rules and no ideal candidate: it's up to you to catch our attention. One-on-one mentoring and teaching – everything we know, we want to pass on to you. We will work with you individually to greatly improve your skills. Money – while most internships just offer expenses for travel and lunch, we appreciate we're not just a bus ride away. We offer increased expenses to assist towards rent/living costs once interns arrive on Ibiza. Full details will be discussed with potential candidates. We are looking for creative applications where your personality shines through. Clue: we don't need a list of your weekend work experience from age 12. Please present your application in either a standard word-processing format such as Microsoft Word or send in PDF format. Please ensure it fits onto one page of A4 - anything more than one page will not be considered. For Videographer applicants only. Please include an online link to current showreel/channel so we can view your most recent work. Ibiza Spotlight is the leading guide for all things Ibiza and was first launched 42 years ago. An internet pioneer, we first went online in 1999, having been one of the island's first ever printed guides. Today, we have a team of over 20 people working with us, whose sole aim is to make sure that the millions of visitors that come each year have a first class resource of island information for just about anything. Ibiza Spotlight could be your all-important first step in becoming a professional writer, a player in the dance music industry and more. Good luck!